Whatever, just wash your hands. 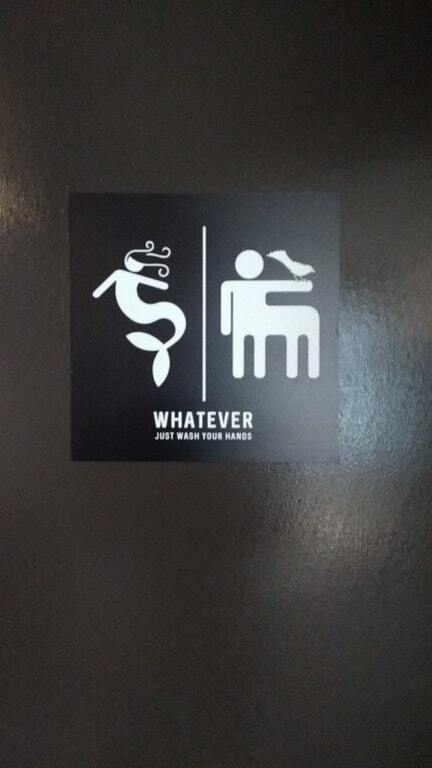 Honestly, the bathroom debate just blows my mind. Keep it tidy, folks, and clean up after yourself. Everyone deserves the right to exist in public space.